Since January consumers have consistently reported fires caused by their microwave ovens, in particular ovens made by Emerson. The complaints continue to roll in. Shaun writes that he has found over 300 complaints online about this problem. “My six-month old microwave, the red one, caught on fire, burned the food and nearly my house,” K., of Moore, Okla., reports to ConsumerAffairs. Michael, of Lawson, Mo., is a concerned father who last week got a disturbing phone call from his daughter, telling her parents the Emerson microwave they bought for her a year ago turned on by itself while she was asleep and caught fire. The Consumer Product Safety Commission (CPSC) does not comment on ongoing investigations. 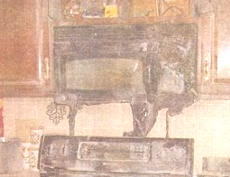 Still, consumers who experience a fire issue with their microwave should file a report with the CPSC here. A similar report should also be filed with the company. The more reports that are received about a safety issue, the faster it is likely to be addressed. 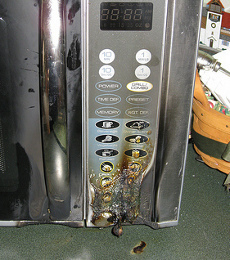 In the meantime, consumers should not try to repair a faulty microwave oven themselves. Small appliance repair experts say microwaves retain lethal amounts of electricity, even when they are unplugged. What's The Deal With Microwave Ovens?